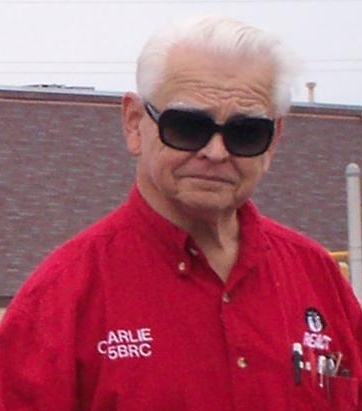 I am very sorry to announce that fellow HAMster and long time Amateur Radio Operator Harry Jordan W5CRS passed away yesterday at 4:pm. Harry has been hospitalized for little over a month after suffering a sever stroke and unfortunately did not recover from the results of the stroke which left him unable to speak, or open his eyes. Harry will be remember for his sense of humor, and his high energy level and enthusiasm for Amateur Radio, even though he was in his 80’s he was still full of energy and excitement like a kid when it came to HAM Radio and was hard at work to build a high quality 2 meter SSB Station to take part in many of the HAMster activities, building a repeater and was hard at work building a 6 meter repeater. Please keep Harry and his family in your thoughts and prayers during this rough time. Service Announcement for Silent Key Harry Jordan W5CRS. Visitation will be Wednesday June 27th from 6-9pm, Funeral will be June 28th at 11:am. Both will be at Mission Burial Park South, followed by as procession to Oakley Cemetery on Hardy Rd, then a reception to follow. I am sad to announce that Royce Taylor KA5OHJ passed away on Friday, May 25, 2018 of Heart Failure. Voice had suffered multiple heart attacks in the past in had been suffering poor health for the past couple of years. He and his wife Diane, just gone shopping and returned home. He collapsed as he entered the house. EMS was called, But they could not revive him. A private ceremony was held this past Saturday, on June 16th for family and close friends of the family only. Discussion was held regarding a memorial service being held at a later date, but I have no information concerning it. Clifford James Buck passed away on June 19, 2017. Born in Kirksville Missouri, he is survived by his wife, Jill, his son, Jamie Buck and his wife, Stepsons Edward, Lee and Robert Hocking and their families, his Aunt, Betty Mudd, and his sister, Dorotha Drittler and her family. A Marine Vietnam vet who served two tours, he was proud of his 10 years of service. He was active in amateur radio as W5CJB which will now be a Silent Key. No service is planned. Instead of flowers, the family requests that donations be made to either the Helotes Humane Society, at 10675 Shaenfield Rd, San Antonio, TX 78254, the Poquita Paws Rescue, at 1248 Austin Hwy. #106 PMB 324 San Antonio, TX 78209 or a charity of their own choosing in his name. 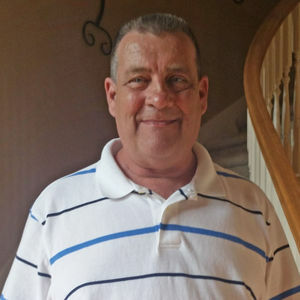 Billie Ferris Woodard, Jr., K5BFW, age 57, passed away on Monday, December 19, 2016 in San Antonio, Texas. He was born in Brady, Texas to Billie F. and Helmi Woodard on January 12, 1959. Billie loved driving 18-wheelers throughout the lower 48 and was active in the AARO and ROOST Ham Clubs. He loved keeping in touch with family and friends by phone. He was very personable and was loved by his family and friends. It saddens me to inform you my Father, Leslie Dale (former NI5S) passed away on December 7, 2016. He had been an active Amateur Radio Operator throughout his adult life and in his later years he served as an Examiner. 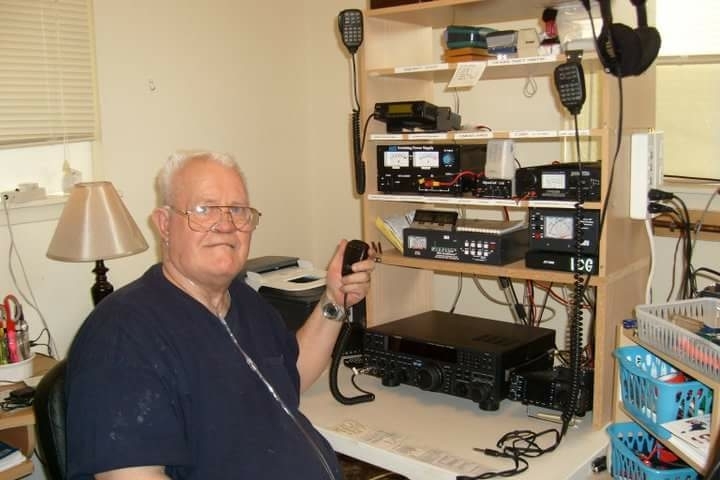 He has met many people through Amateur Radio and has always held a high admiration for those that enjoy his passion. Please feel free to share this with members of your organization. Who may know him and want to attend the funeral. Arrangements with Porter Loring Funeral Home are being finalize and will be posted shortly. You can also contact me at (210) 289-9699. UPDATE: The Funeral Services will commence on December 14, 2016 at 10:00 a.m. at Saint Sophia Greek Orthodox Church (2504 N St Mary’s St, San Antonio, TX 78212) and conclude with Full Military Honors at South Mission Park Cemetery. Funeral Arrangements by Porter Loring on McCullough Ave. It is with a very heavy heart that I announce the passing of a good friend, and fellow HAMster Floyd Gordon W5FGG. Floyd was much loved and a father figure for many of us and a great friend. He was born in 1931 and passed away this week from an Heart Attack. Floyd spirit and determination will be greatly missed. Funeral Arrangements for Jack Renwick, KB5IQI who passed away on Thursday, July 2, 2015. Viewing Thursday July 16 beginning 11:00 A.M. at Trinity Baptist Church located at 319 E Mulberry, San Antonio, TX. Funeral Services will be from 12:00 to 1:00 P.M. at Trinity Baptist Church. A grave site service with full military honors will be at the Fort Sam Houston National Cemetery after the Funeral Service. As some may not have heard, Gordon Dial, K5SUZ, passed away last weekend. The cause appears to be health related, perhaps complications with diabetes. Gordon was very active in the HAM community and volunteering his time and resources to many worthy causes. He will be missed. VIEWING: On Thursday, July 2, 2015 from 6pm-8pm. Funeral Service: Friday, July 3, 2015 at 1:00pm at the Porter Loring Mortuary Chapel at the same location. He will be buried at Mission Park Cemetery. An obituary will be posted on the Porter Loring Mortuary web site http://porterloring.tributes.com/funeral_homes/obituaries/ as soon as one has been received from the family. If you need more directions or other information, Porter Loring has a representative to answer your questions any time at (210) 227-8221. Please feel free to share this information with anyone who may have an acquaintance with Gordon or his family.